Our firm represents clients for disability claims for Social Security. 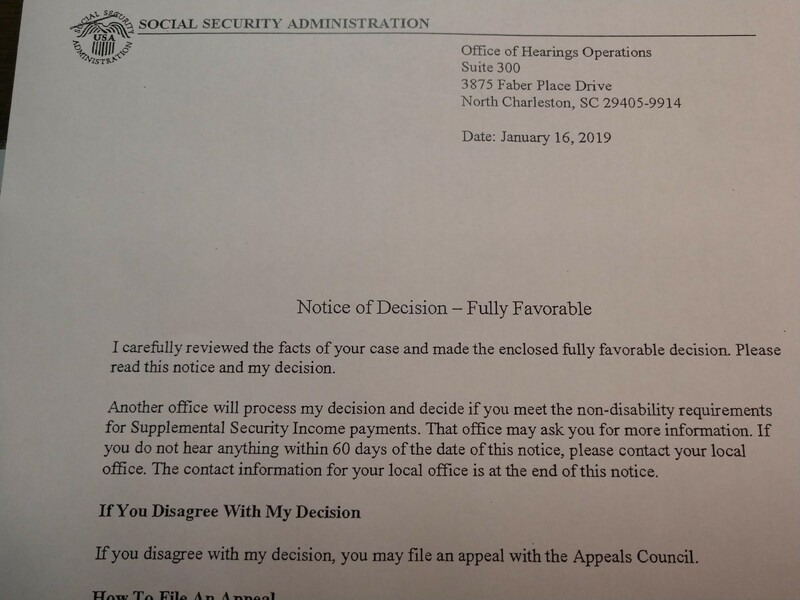 If you become unable to work based on a disability, our firm assists in the preparation and presentation of your claim to the Social Security Administration. We also handle Supplemental Security Income cases for adults as well as children. Supplemental Security Income (SSI) pays benefits based on financial need. Adults can apply for either SSDI or SSI. Children are limited to SSI. Please contact Michael at 843-761-0610 or michael@vannoymurphy.com if you need assistance.